Posted By: kentsu in Blog Dr. 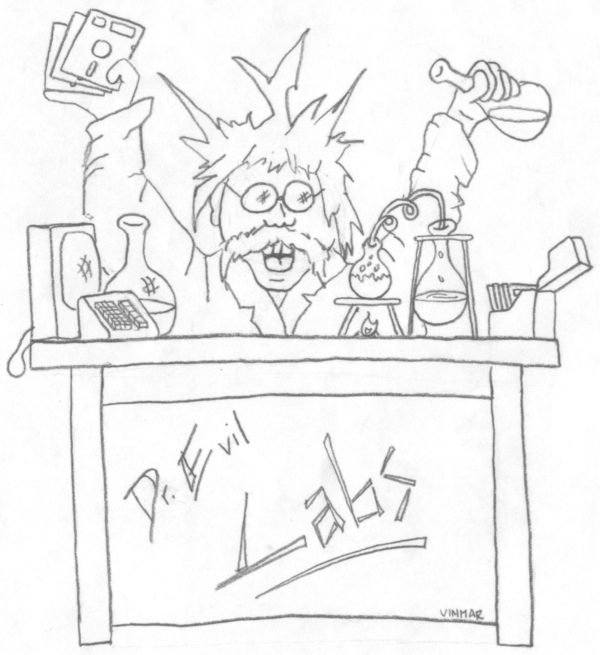 Evil Laboratories , Imagery! Dr. Evil's special guest Kyle Sullivan (age 12) shares the (thankfully) short list of bugs he has discovered while using the adventure designer. Please add to this list via comments! Tags: adventure designer, adventure game, bugs, Imagery! Tags: adventure designer, adventure game, Eamon, Imagery!